On 15 November 1888, St George’s Cathedral was consecrated by Bishop Parry, the second Bishop of Perth 1877-93. The Cathedral is a beautiful example of the traditional English Victorian Gothic Revival Style of architecture. It was designed by Sydney architect Edmund Blacket who died in 1883 prior to the building’s completion. 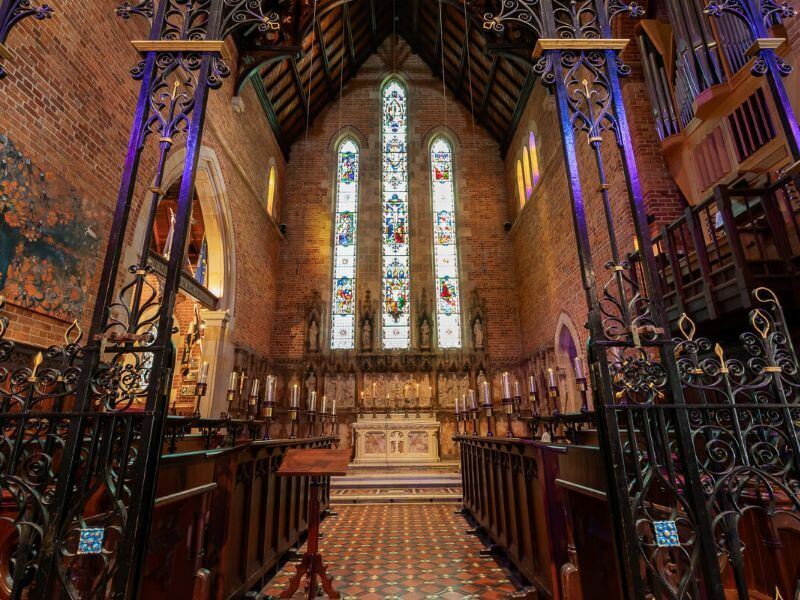 St George’s Cathedral has long been a strong focal point for worship within the Diocese and City of Perth. It is the home of a vibrant worshipping community. 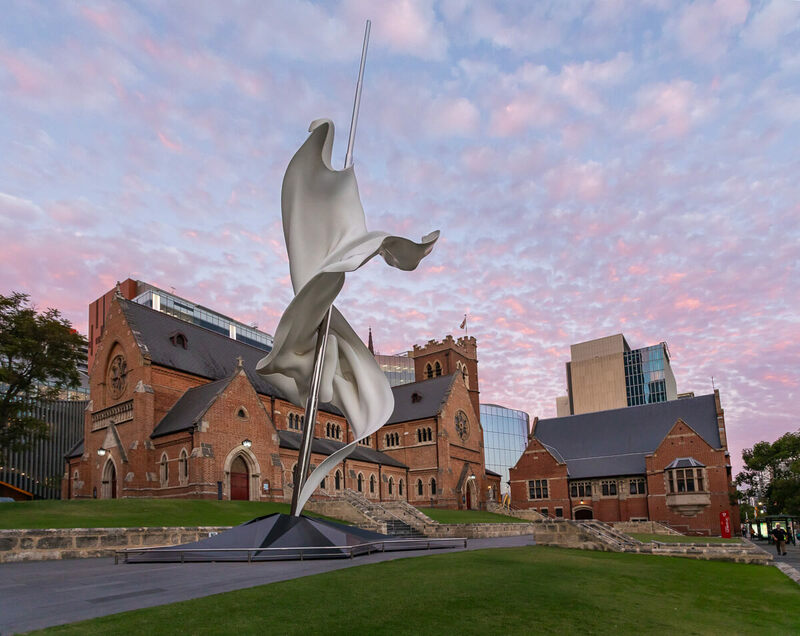 It also has served the wider Perth community as the scene of cathedral church services to commemorate important events within the life of Perth and the whole Western Australian community. The Cathedral is one of the principal buildings within the heritage precinct including Government House, Perth Town Hall and the State Buildings. Its architecture, furnishings, fittings, stained glass windows and memorials are an expression of cultural and religious heritage with links dating back to the earliest days of European settlement and beyond. As with other unique heritage buildings that are more than 100 years old, there is a need for constant care to prevent the Cathedral from deteriorating and to ensure that any renovations are consistent with the character of the original building. This work is both ongoing and expensive. It is important for the Cathedral to remain as a well-maintained building that serves both as a reminder of our past history, and also provides all those facilities required to meet the needs of future generations. What do the Friends achieve? Establishment and furnishing of the Cathedral Friends’ Meeting Room in the Education Centre. The Friends sponsor social events and assist with their organisation, including catering. These include events where members of the cathedral community may enjoy good fellowship, and provide valuable opportunities for networking and outreach to the wider community. They also include events where members of the cathedral community and invited guests may have an exchange of views on matters of mutual interest and/or learn more about activities of the Cathedral. The Association of Friends is actively seeking to expand its membership so that in future it will be better able to provide the support needed by the Cathedral. You participate in caring for the Cathedral, maintaining its worship and fabric, enhancing its beauty and extending its influence in the Diocese and City of Perth. You join a world-wide community of people who support the Cathedral, have an interest in its life and share a concern for its physical welfare. You will receive invitations to attend occasional social gatherings where you can meet other people with similar interests and enjoy good fellowship. You will receive advance notice of special cathedral events, including Services of Worship, the Annual Cathedral Lecture, Music Recitals and other activities of interest. To download a membership form, please click here . To join the Friends, to suggest projects in which the Friends might be involved, or for more information, please email info@perthcathedral.org, or write to the Friends Secretary c/o St George’s Cathedral, 38 St Georges Terrace, Perth 6000.